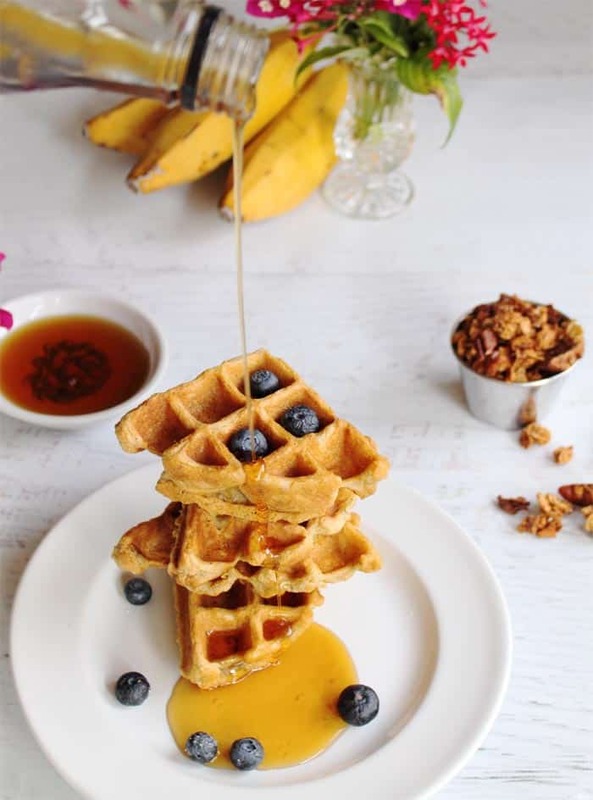 Delicious & healthy quinoa waffles make a powerful breakfast that’s full of protein. Add some fresh berries for antioxidants & bananas for potassium to start your day on the right foot! Happy Spring! It’s a beautiful day, blue sky & going into the 80’s. Who could ask for anything more? So feeling all bright-eyed and bushy-tailed, as my Dad would say, I wanted to make something special for breakfast. 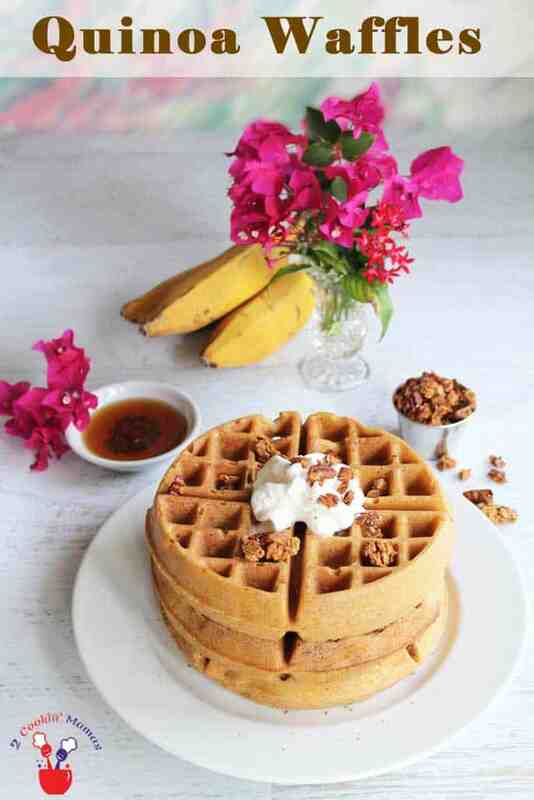 We love waffles in this house ever since I created the Perfect Waffle recipe but, since we are trying to eat healthier now, I had to find a way that we could keep to our healthier eating and have our waffles too. Well, as you might have guessed if you follow us regularly, my go-to health food is quinoa (pronounced keen-wah, just so you don’t happen to say it wrong and have everyone jump on your case for not knowing). We love it in our household and it fits the bill for so many things – use in lieu of rice, noodles, bulgur wheat and even as a baking grain in breads. 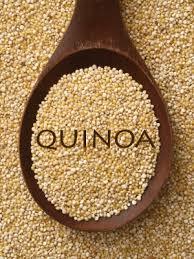 Are you asking yourself at this point what is so good about quinoa? Let me tell you! Quinoa is a protein-packed, nutty-tasting grain that contains a perfect balance of every amino acid, which makes it one of the only plant foods that is a complete protein source. It is rich in lysine, which promotes healthy tissue growth, and is a good source of iron, magnesium, vitamin E, potassium and fiber. Now you know why I chose it to make my waffles healthier. I also found out, after many unsuccessful tries, that cornstarch is the main ingredient that helps make your waffles crunchy on the outside. 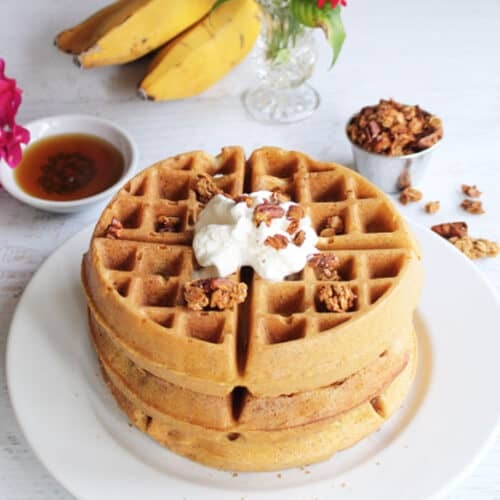 You still need to use a good waffle iron, preferably one that you can turn over, like the Presto flip-side Waffle Maker I use, to ensure that they come out soft on the inside and crunchy on the outside. 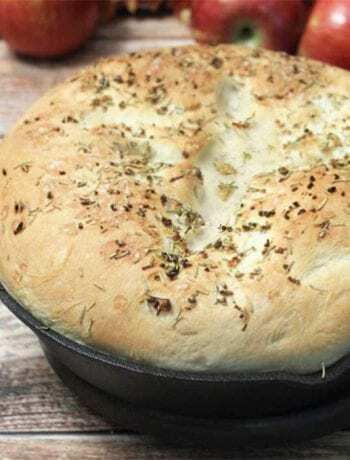 This recipe not only comes out perfect but tastes delectable too! Let us know how they come out for you. Hope you enjoy! 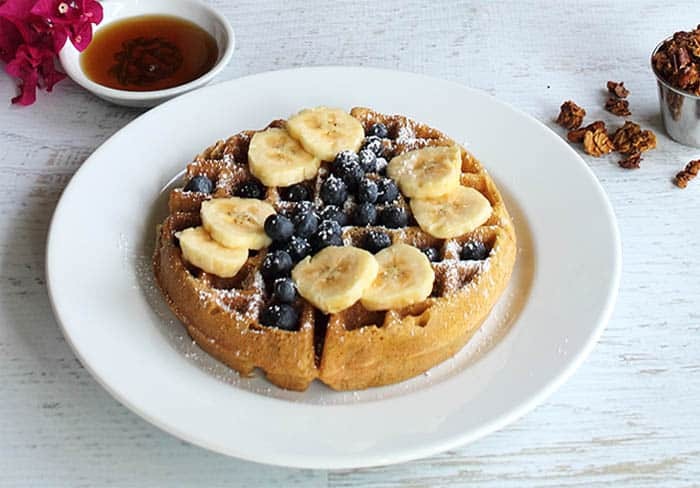 Delicious & healthy quinoa waffles make a powerful breakfast that's full of protein. 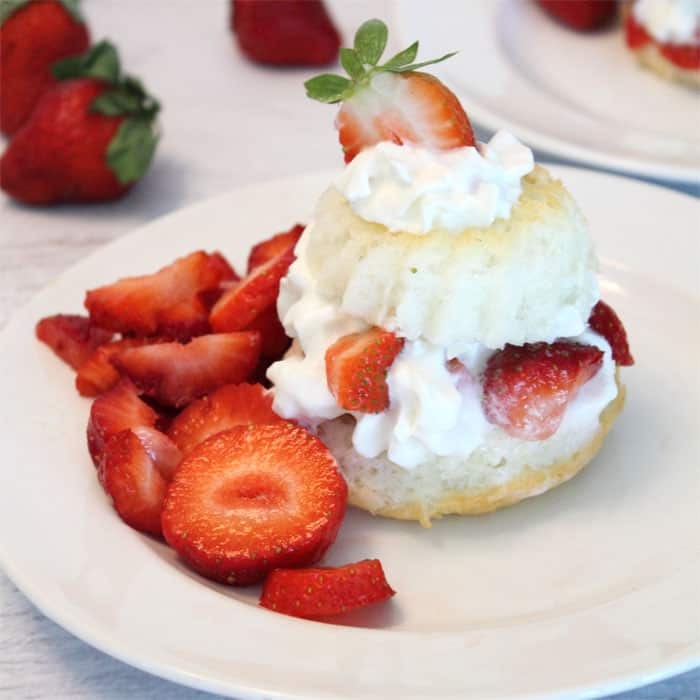 Add some fresh fruit & you'll be ready to tackle anything! In large bowl, combine flour, cornstarch, baking powder, baking soda and salt. In a separate bowl, combine quinoa, egg yolks, vanilla extract, oil, milk and nut butter, if using. Add to dry mixture and stir well. Beat egg whites until soft peaks form, add sugar slowly and continue to beat until stiff peaks form. Fold into batter. Pour batter into waffle iron and cook according to manufacturer’s directions. Usually about 4 to 4-1/2 minutes. Top with fresh berries or sliced bananas and pure maple syrup. To keep waffles warm until you are done cooking all of them, preheat oven to 250 and put cooked waffles directly on oven rack until ready to eat. To save time, you can prepare the batter the night before up to the addition of the egg whites. Store overnight in refrigerator. Prior to cooking, beat egg whites and combine with cold batter. I love that you added such a great source of protein into my favorite breakfast! So delicious. I’m always up for a delicious and healthy breakfast item! Step 2 says add nut butter but not butter is not listed as an ingredient. Thanks for catching the nut butter omission. I’ve added it now and it is an optional addition. I’ve tried it with both Chocolate Nuttzo and almond butter and it gives the waffles a more pronounced flavor.